I’m not going to D.C. to look for a literal fight, but I’ve heard there may be groups there trying to instigate violence. Lovely James O’Keef and his lot among others. So I’m prepared. 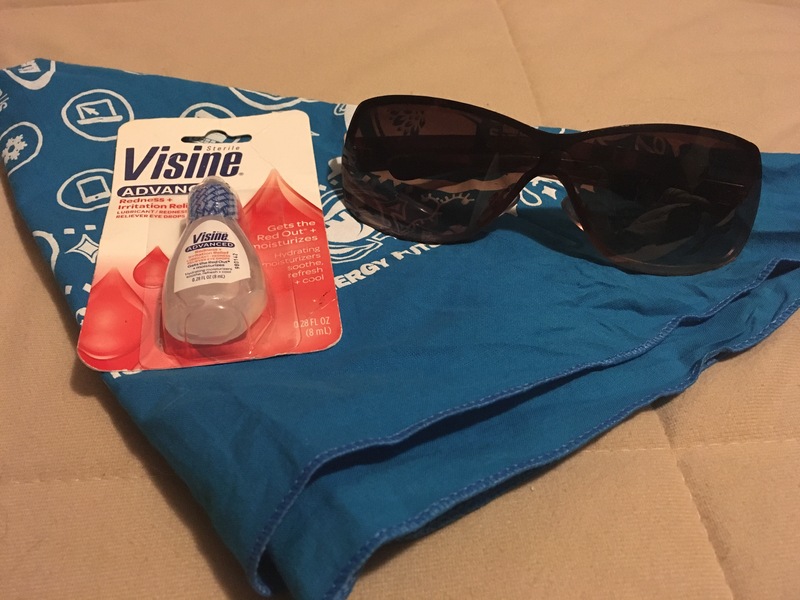 Visine, bandana and subglasses. Even though a former special forces dude assured me tear gas isn’t that bad- I’m going to play it safe. Hoping our march is peaceful, affirming and impactful. Tomorrow morning I’m off to D.C.! Night all!